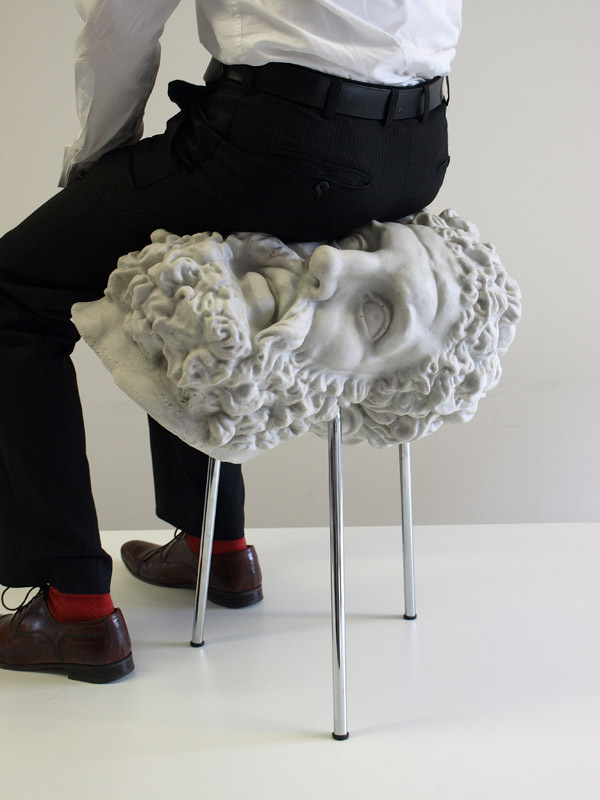 Soft Hercules is a stool cast from foam rubber - the soft squishy stuff that is usually used to make stress balls. 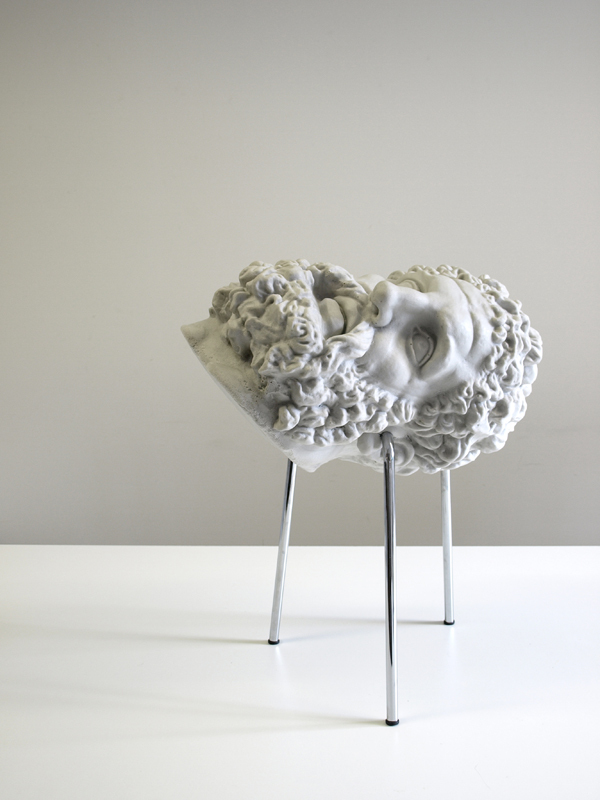 The bust of Hercules, usually something solid both in its material and the culture it represents becomes unexpectedly soft, deforming a recognizable object into stranger shapes when it is sat on. It uses the plasticity of rubber to suggest a more uncertain and doubtful state.